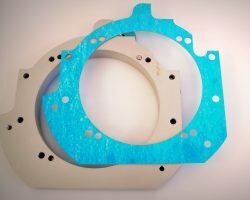 Micron Laser Technology leverages laser machining processes to cut a wide variety of rubbers, composites, metals, and plastics to impart a competitive advantage to customers seeking custom gaskets and washers. From common transportation and medical products to the U.S. Navy, MLT is a cost-effective solution for cutting custom gaskets of many materials to the tightest tolerances. Our lasers are optimized for prototype runs to production volumes to ensure optimal precision, cut quality and consistency since there is no tooling wear. The extremely narrow beam width allows tight nesting of parts for maximum material utilization, essential for reducing costs especially when cutting specialty materials. 3D features or features that have depth like pockets can be created. Pockets or cavities may be used for interference clearances, locking, sealing, or counter-bores. These pockets can be produced with rough or smooth surface finishes while cutting the gasket or washer at the same time providing an efficient machining solutions for the most complicated of applications. When existing products like bellows, diaphragms, grommets, or other common molded products require additional features not possible via traditional machining, stamping or etching, MLT can optically align to your part to precisely registered cuts relative to existing features. 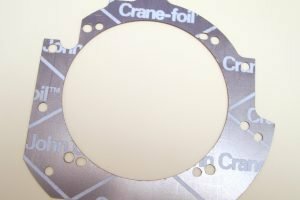 Whether fabricated from metal or nonmetal materials, your custom gasket or washer dimension can be as small as .010″ up to 30″ without custom setups and maintain tolerances up to 10um. Laser machined, non-metal materials may include plastic, rubber, cork, fiberglass, silicone, paper, sponge or foam, felt, ceramics, and leather/fabrics. 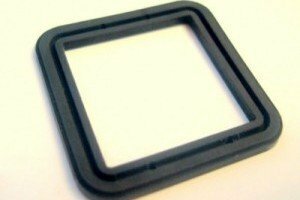 Gaskets and washers can be fabricated with or without pressure sensitive adhesive (PSA) backing. In many applications, making the right material selection is worth more than the cost of the part when failures occur. 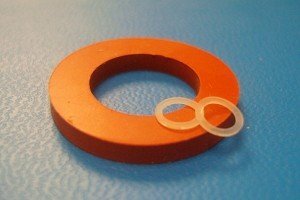 High temperature gaskets and washers are fabricated from materials like Fiberfrax™ Ceramic Fiber, Kapton™ , Flexible Graphite, PTFE(Teflon™ ), Nomex™ , Silicone, Fluorosilicone, Fiberglass, Silicone and Viton™ . To view our comprehensive listing of gasket and washer materials, click Materials. CAD system integration and custom file converters enable flexible, laser manufacturing from customer-provided data. If needed, MLT will take single part drawings and create optimized sheet layups to maximize your yield. Although most file types are accepted, the preferred file types are Gerber, DXF, or other 2D formats.